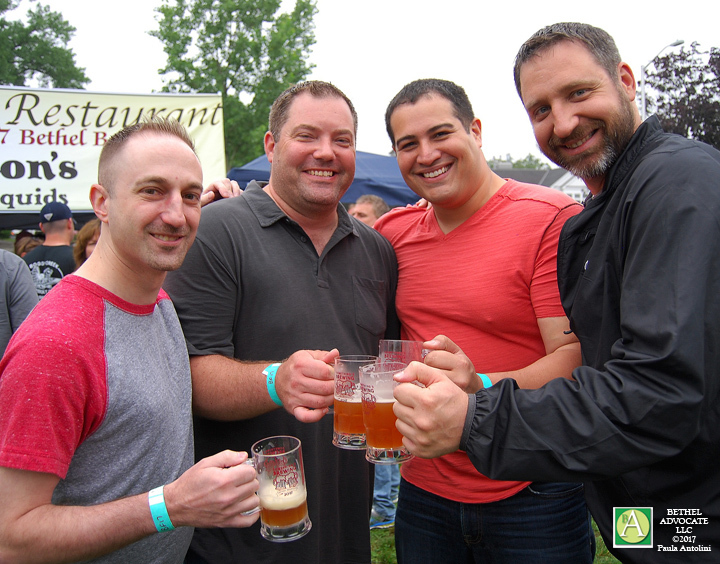 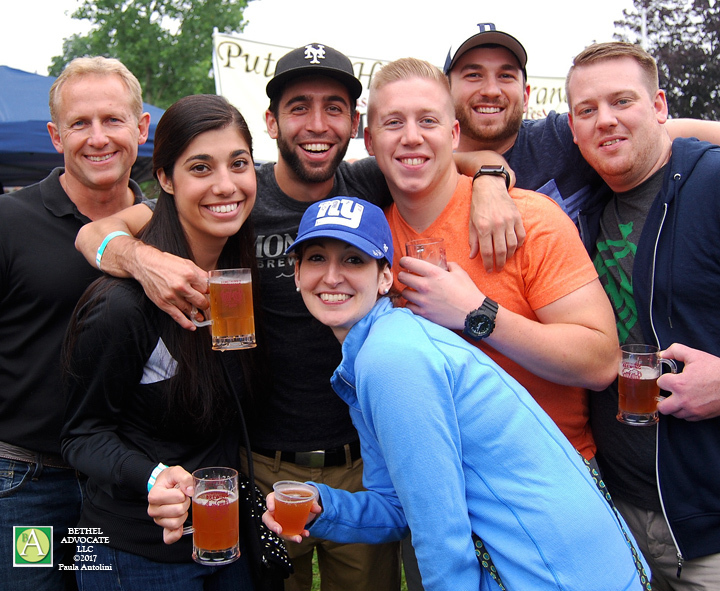 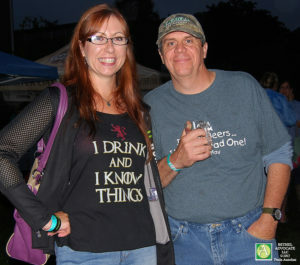 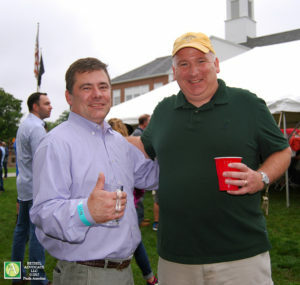 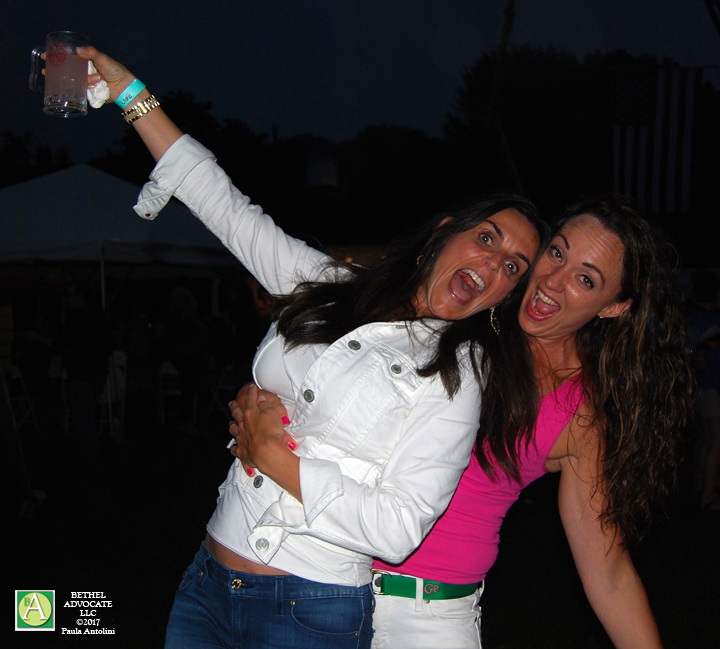 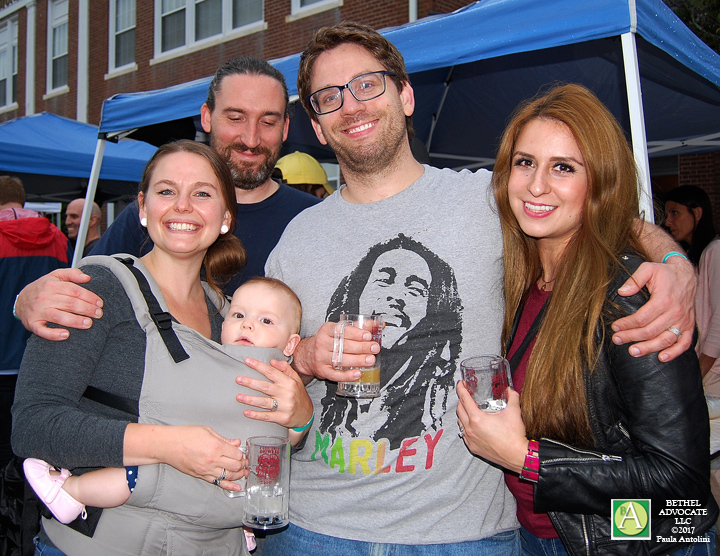 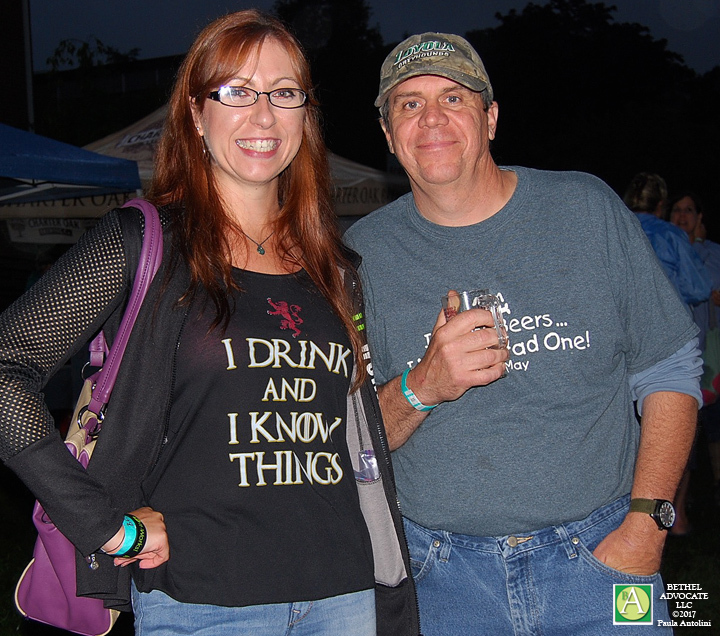 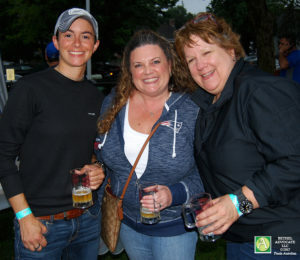 PHOTOS/VIDEOS: Were You Spotted at the Bethel BeerFest 2017? 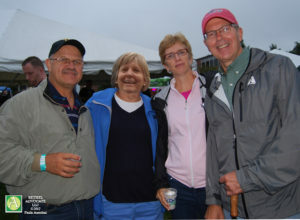 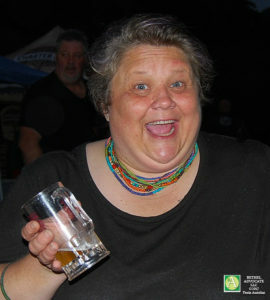 Photo: Jovial party attendees at the Bethel BeerFest 2017 last night. 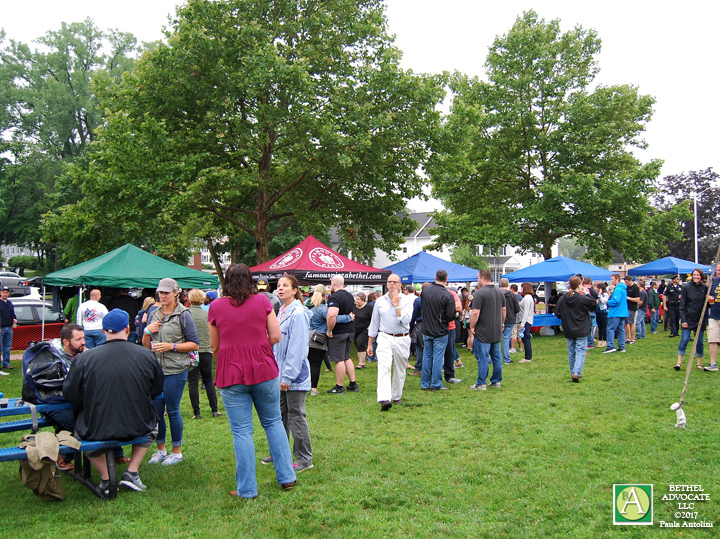 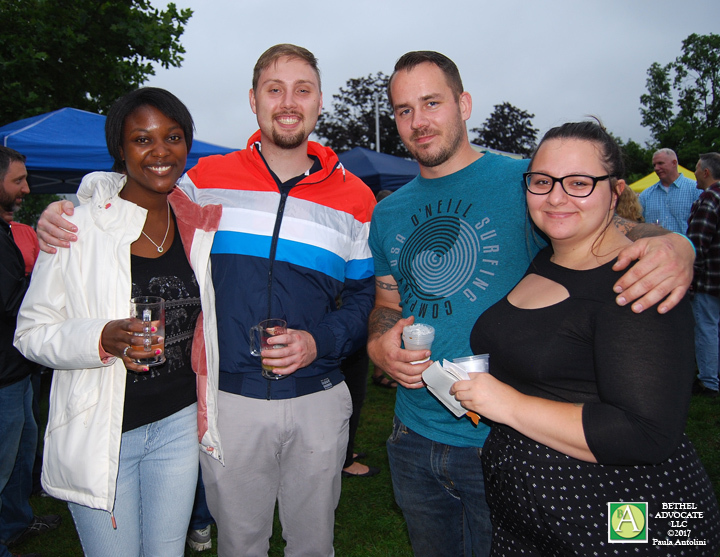 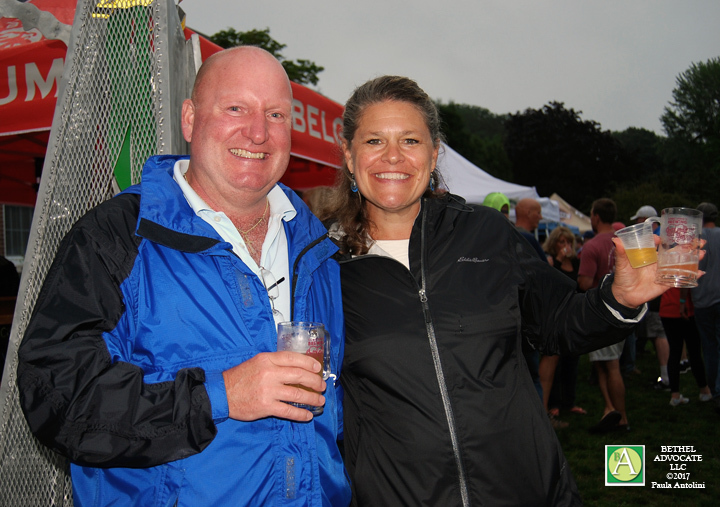 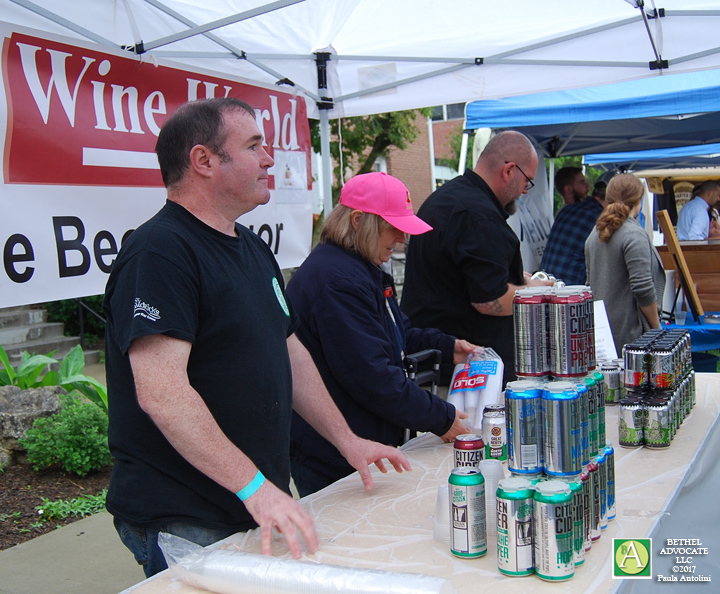 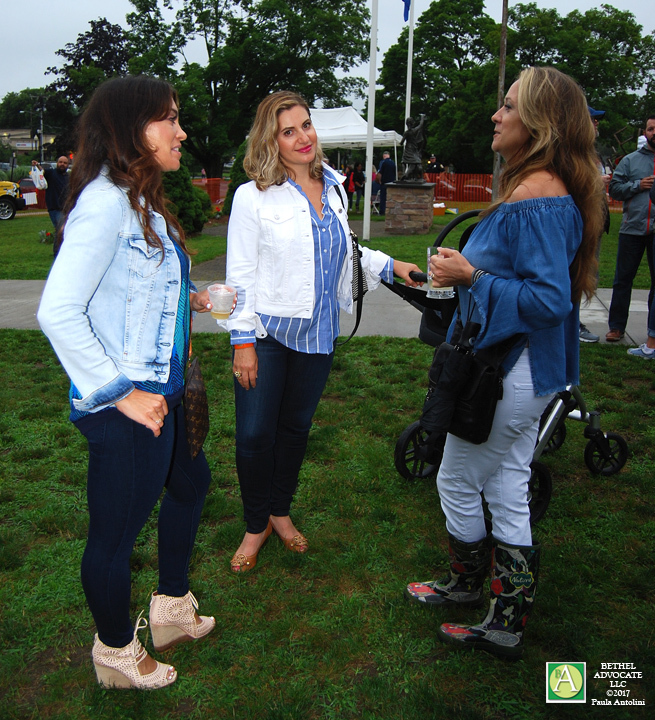 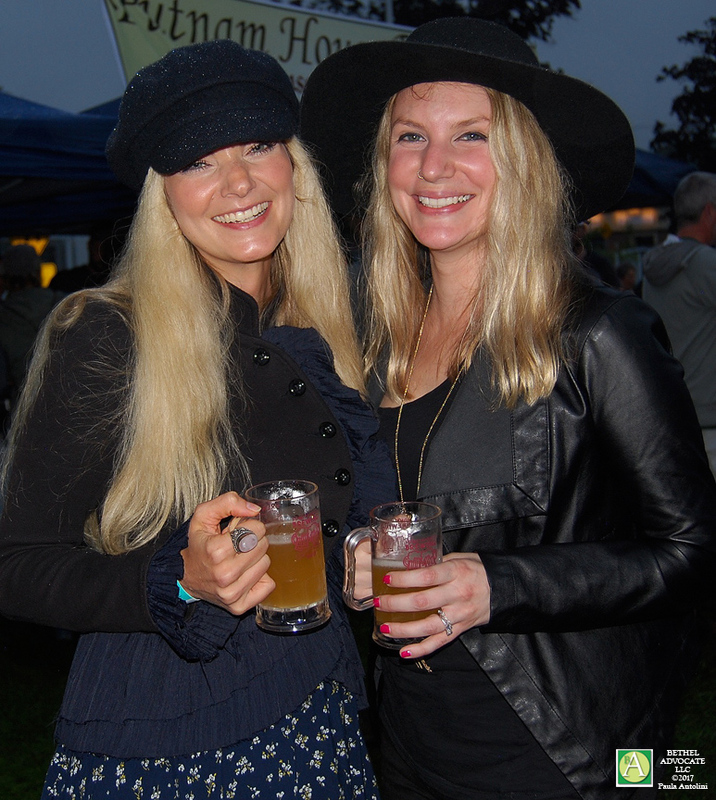 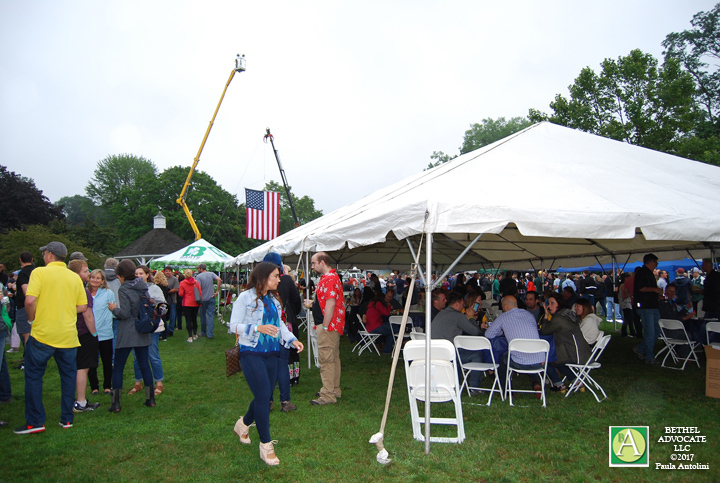 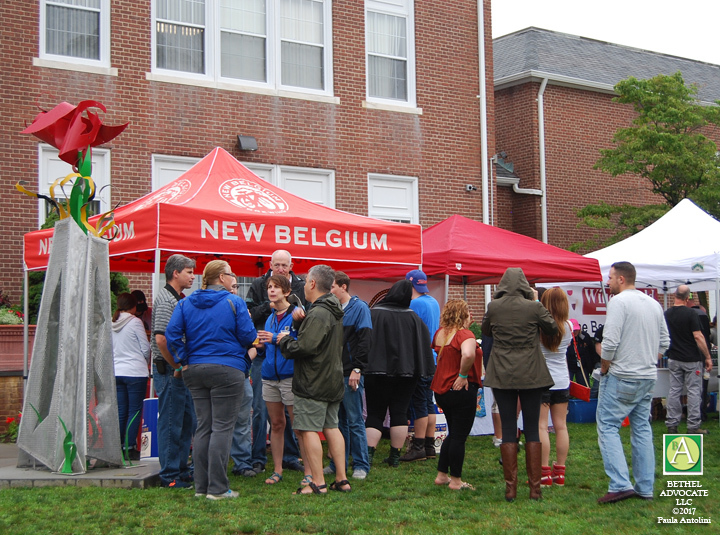 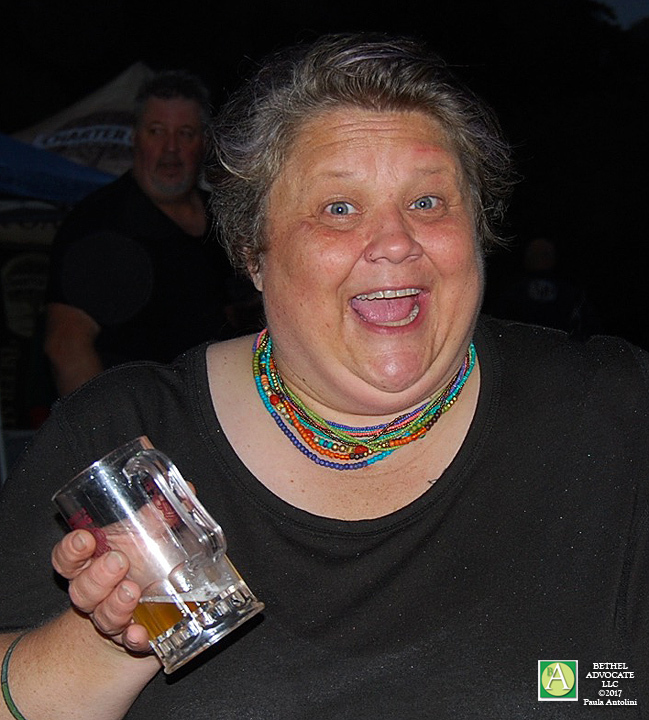 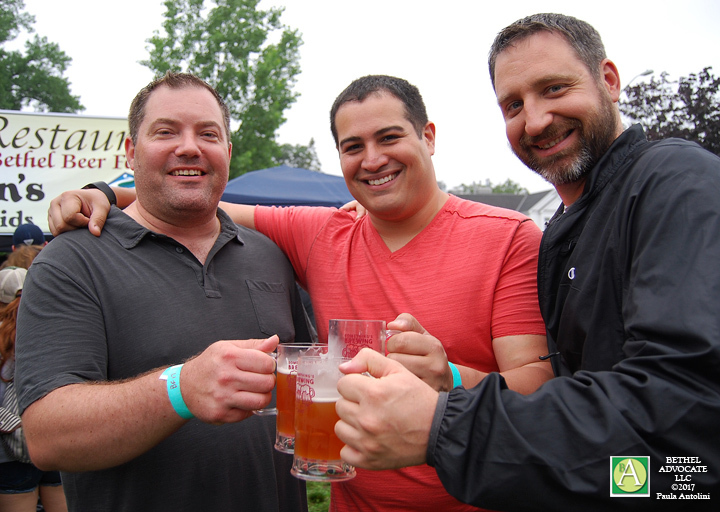 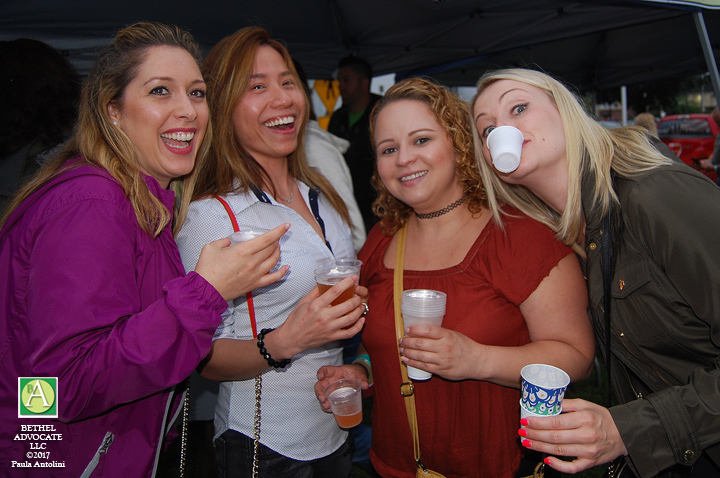 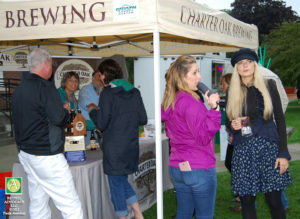 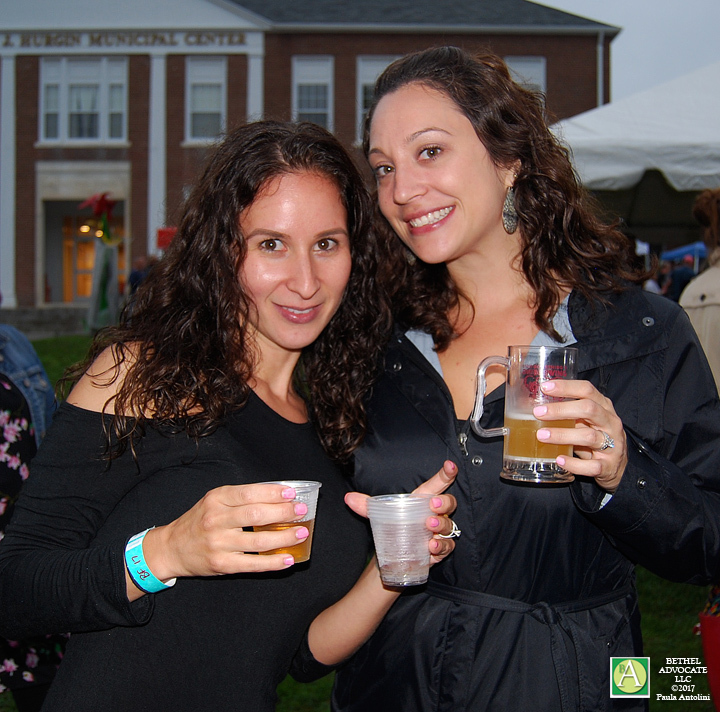 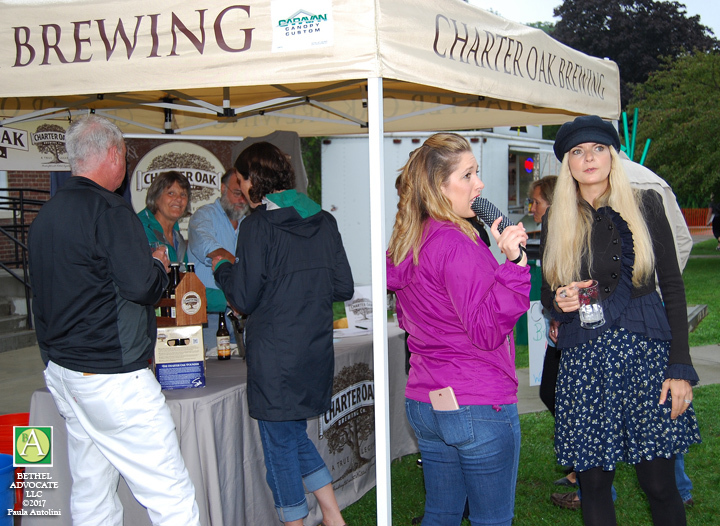 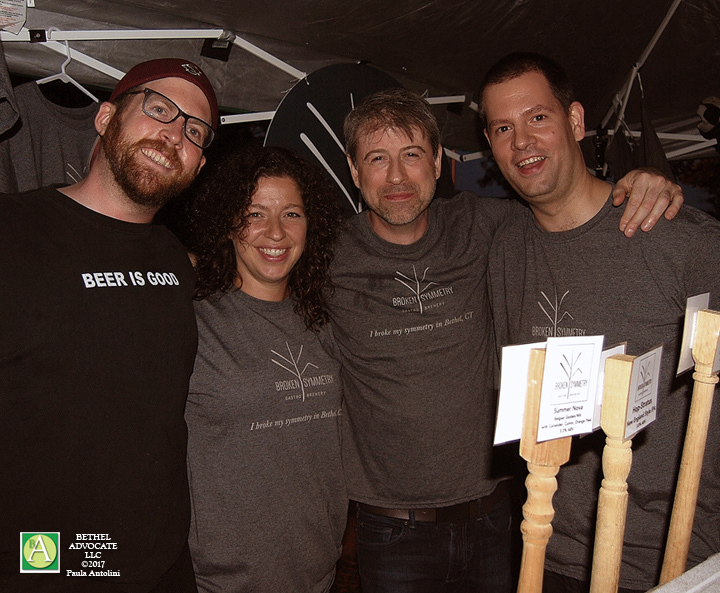 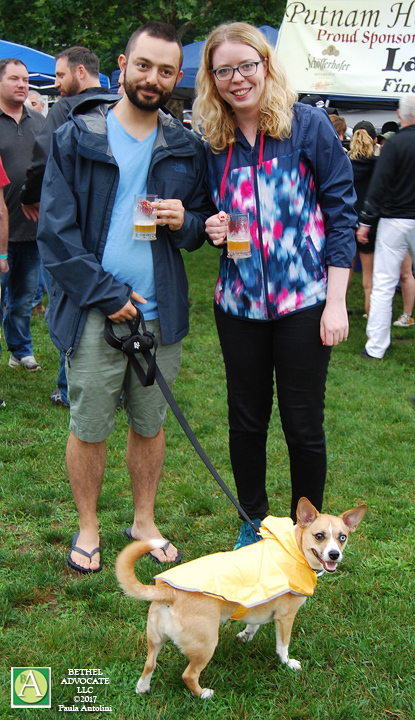 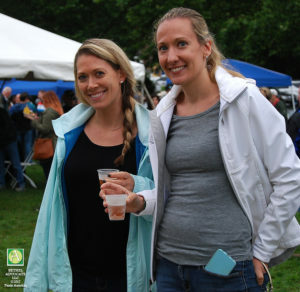 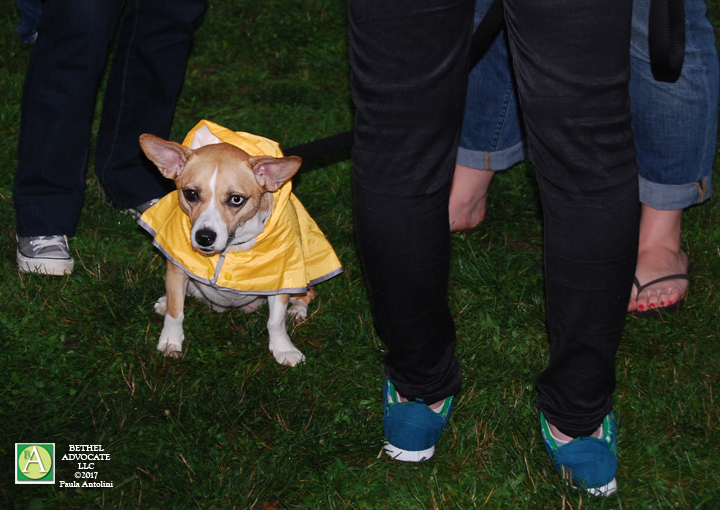 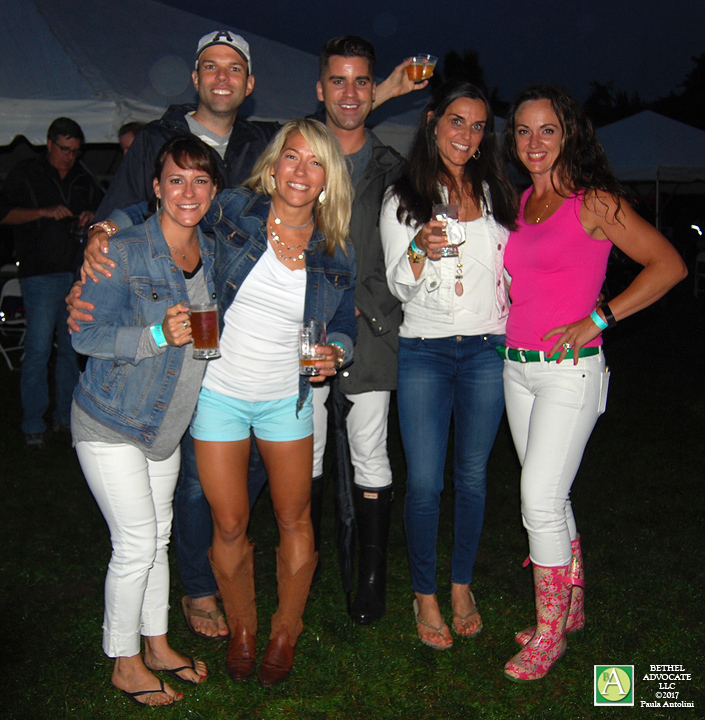 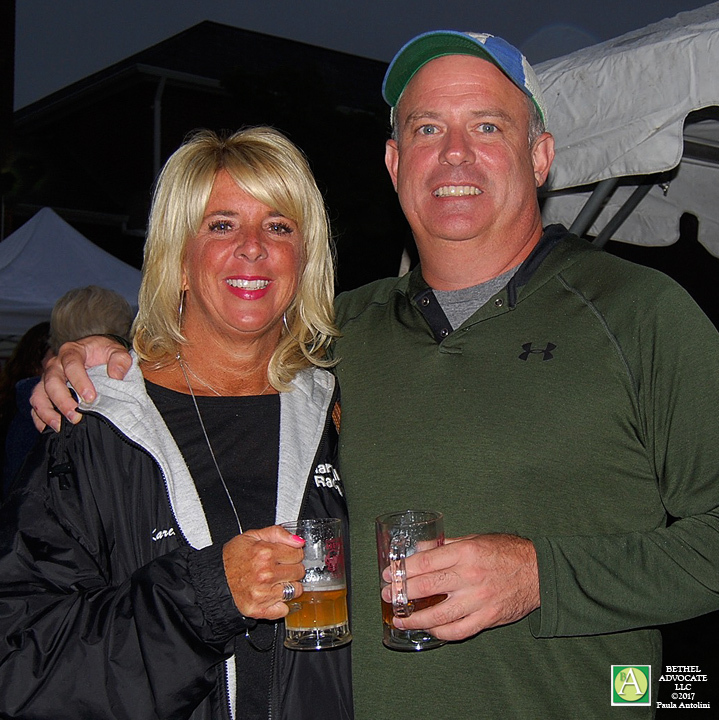 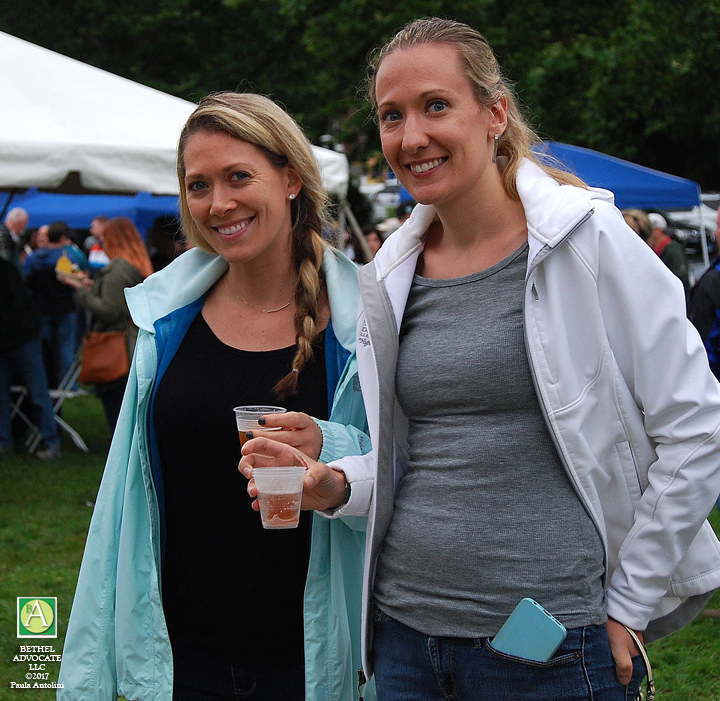 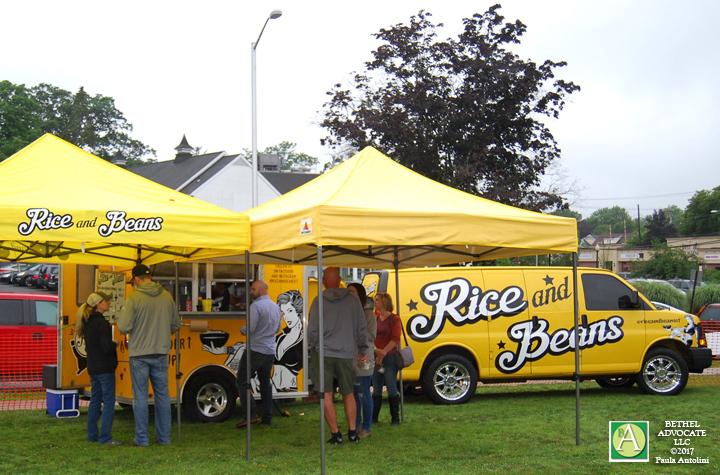 Rain did not dampen the “spirits” at the Bethel BeerFest 2017 last night, as it drizzled constantly, but much fun and and laughter was had nonetheless at the sold-out event, with 533 tickets sold. 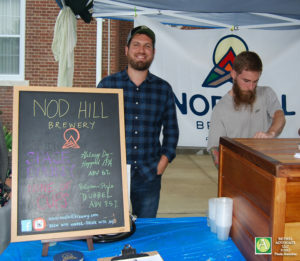 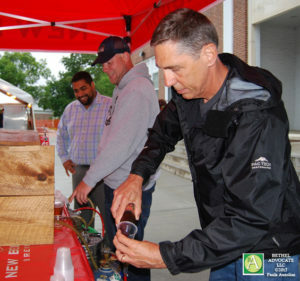 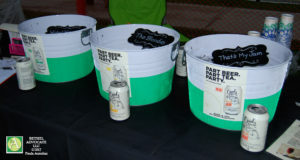 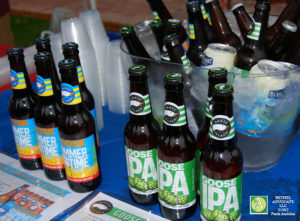 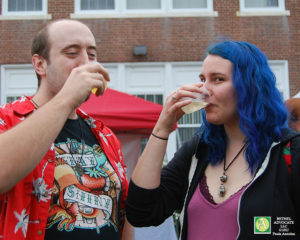 Attendees sampled numerous kinds of craft beer, and got a chance to chat with brewers, even one selection called “Wicked-Watermelon tea-beer, by Owl’s Brew Radler, which contained Wheat Beer blended with Organic White Tea, Watermelon and Pomegranate Juice. 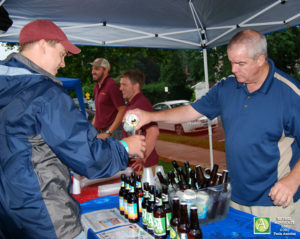 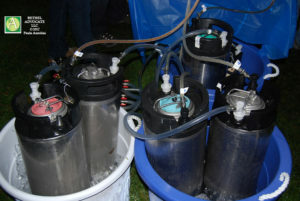 A Redding resident at the event said he liked a beer called “Space Bunny” from a company in Ridgefield, and “Stratus” from a company in Bethel, although he did not know the company names. 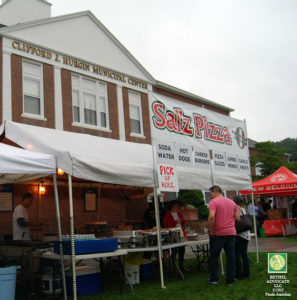 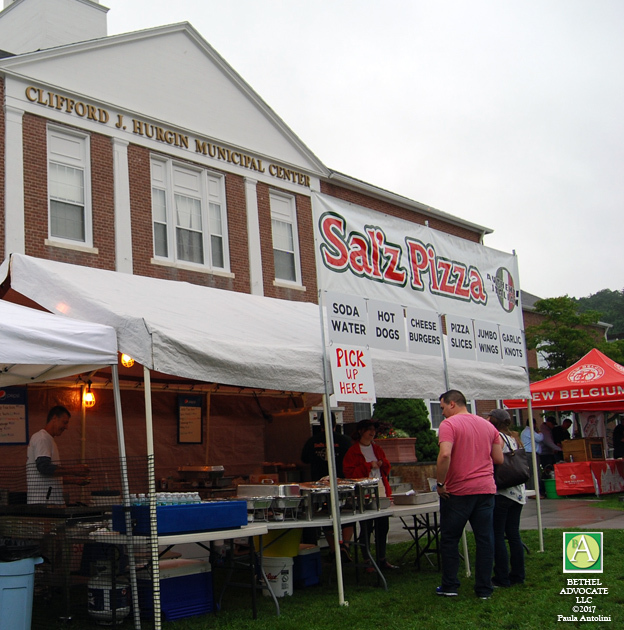 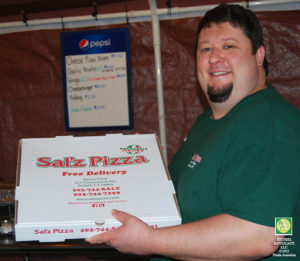 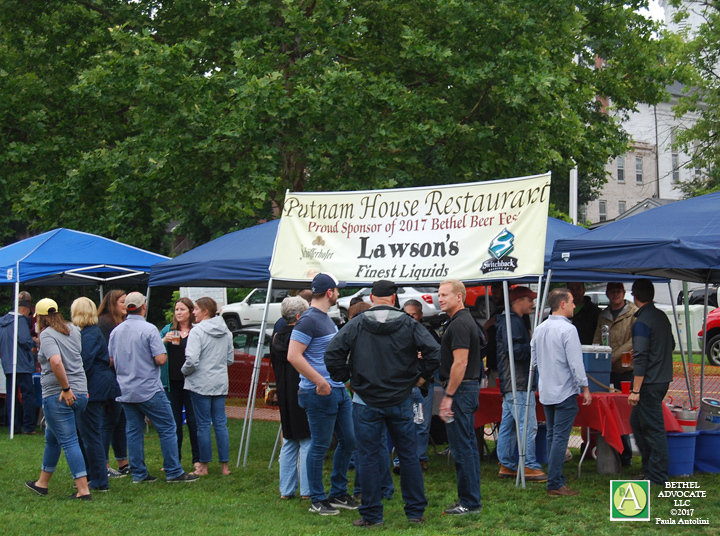 Participants were: Broken Symmetry Gastro Brewery, Central Package, Prime Pub, Nod Hill Brewery, Charter Oak, Owl’s Brew, G&G Beverage, New Belgium Brewing, Taunton Wine & Liquor, Stony Creek Beer, Bethel Wine World, and The Putnam House Restaurant. 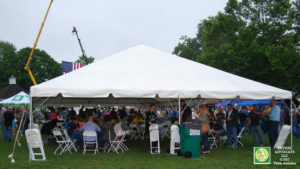 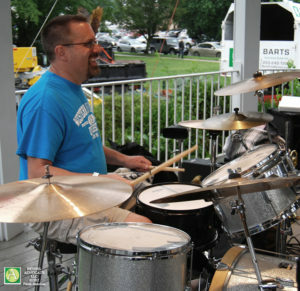 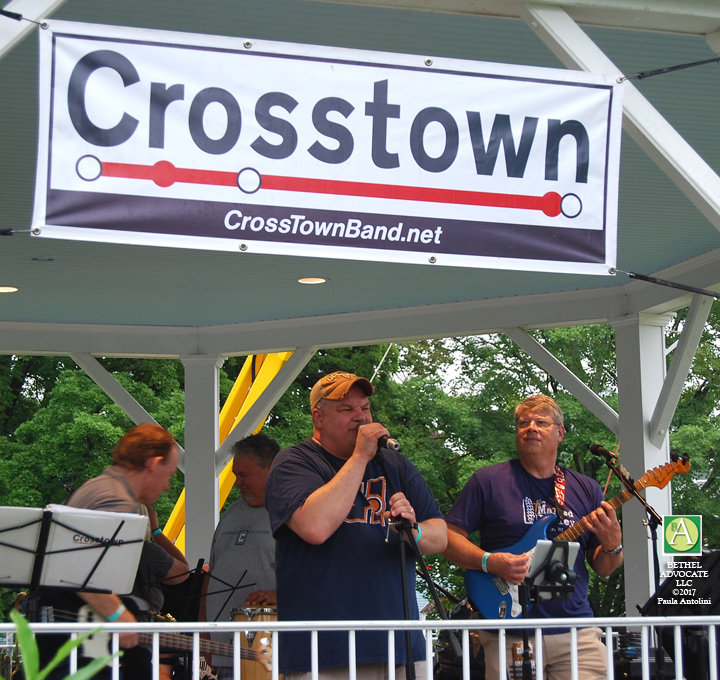 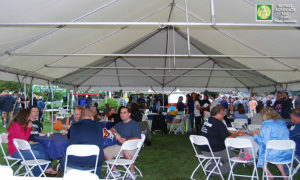 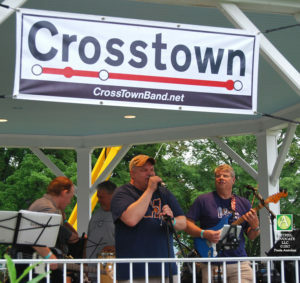 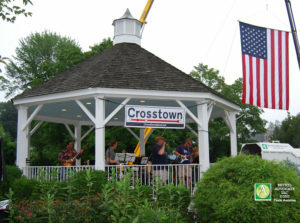 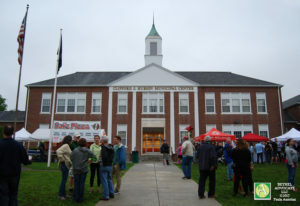 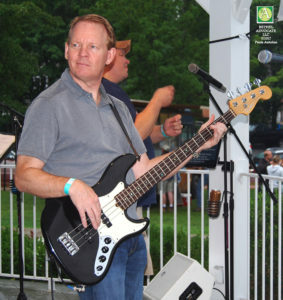 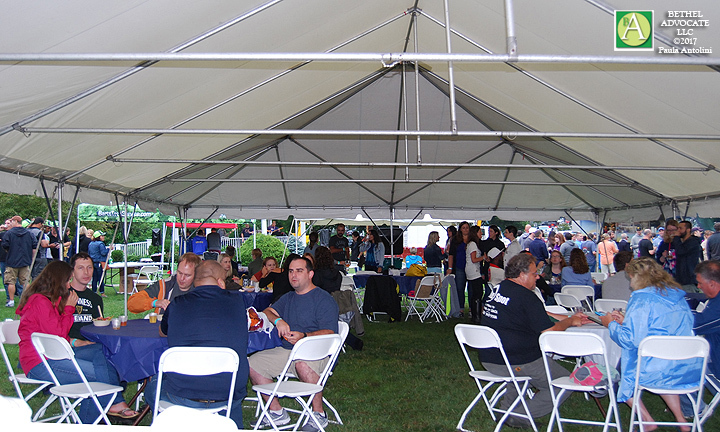 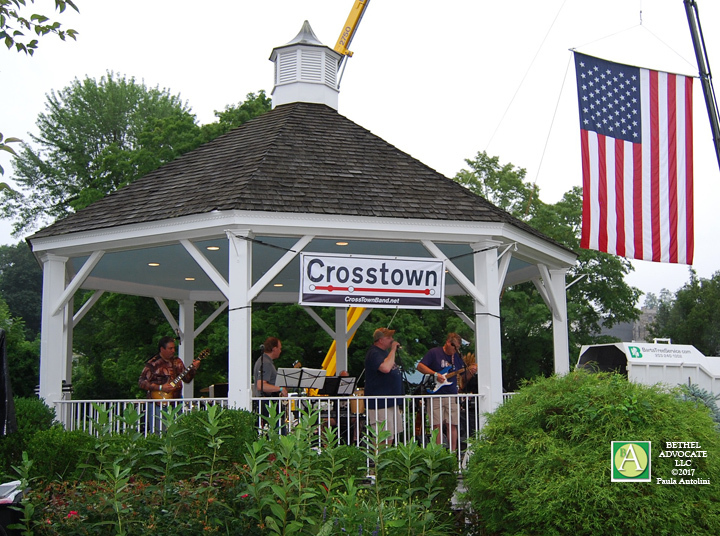 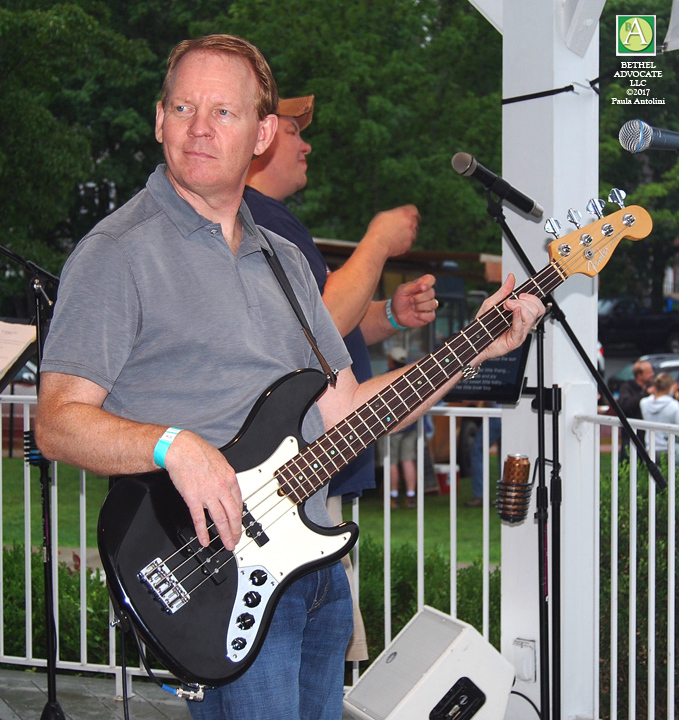 A large tent was placed in the middle of the Municipal Center lawn as a gathering place and shelter from the rain, and Crosstown Band performed some outstanding music in the gazebo for the entire event. 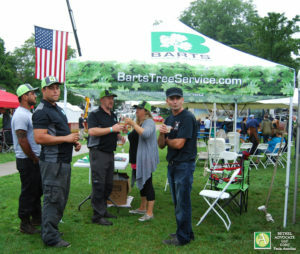 A large American flag was hanging proudly, 90 feet above the crowd, on equipment from Bart’s Tree Service, spotlighted as the sky turned to night. As Bethel Advocate walked through the crowd chatting with guests we realized nearly everyone was from Bethel! 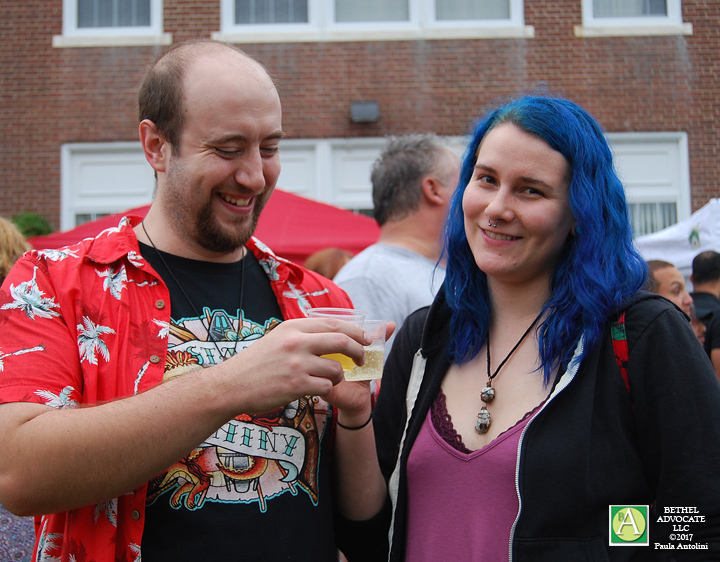 The owners of “Broken Symmetry Gastro Brewery” had a booth at the event and told us that their new brewery, scheduled to open in the old Bethel train station, will probably open approximately October 2017. 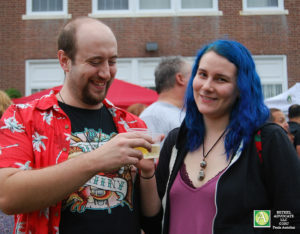 Photo above: Owners of Broken Symmetry Gastro Brewery, opening in Bethel’s old train station in approximately October 2017, they said. 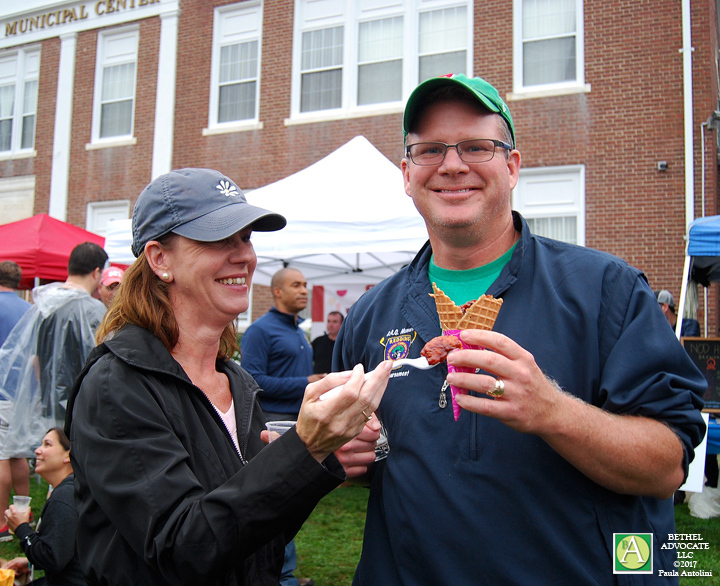 Photo above: Wendy Cahill, owner of Molten Java in Bethel, CT.
Photo above: CT State Representative Will Duff (left) and Bethel Police Captain Stephen Pugner, at Bethel BeerFest 2017.